Whether from birth of because of old age, the deaf and hard of hearing face unique challenges to insure their personal safety in the event of a fire. With its realistic special effects and sample life-size electronic devices, the Alerting Systems safety simulator packs everything safety educators need for their presentation into a powerful, visual teaching aid. 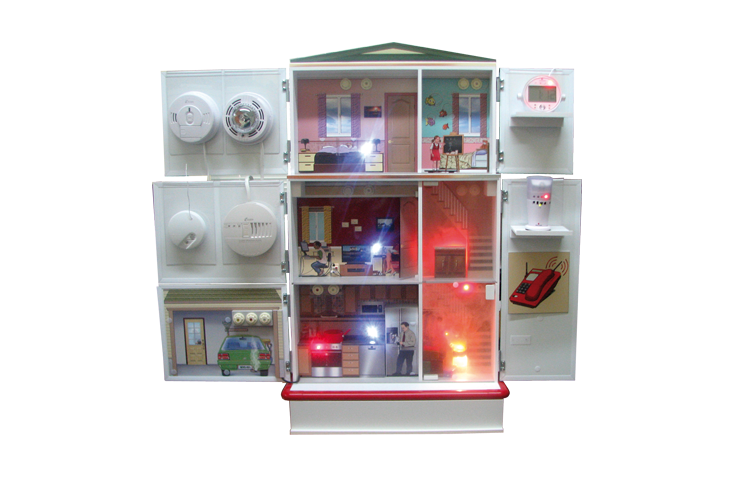 Demonstrate how systems like strobe lights, alarm clock receivers and bed shakers react, using fully functional electronic modules. 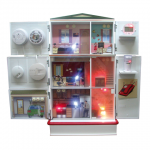 Show how quickly fire and smoke can spread, and how to act safely around electrical appliances. Teach your audience how to turn potential hazards into a safe environment: anyone can do it!